JACKSON, JOHN MILLS, author, merchant, and jp; b. c. 1764 on St Christopher (Saint Kitts-Nevis), son of Josiah Jackson, a doctor, and Elizabeth Gerrald; m., with at least two sons and four daughters; d. 1836 in England. After receiving a ba from Balliol College, Oxford, in 1783, John Mills Jackson resided on St Vincent, where he owned property. He claimed to have lost a “considerable” portion of it during the Carib uprising of 1795. Four years later he became aide-de-camp to the island’s commander-in-chief. At some point thereafter he returned to England (possibly to Wiltshire), but he left in 1805 to visit Lower Canada. There he possessed, “by right of inheritance, a claim to a large and very valuable tract of land.” He also had an interest in Upper Canada and, prior to leaving England, he purchased land there. 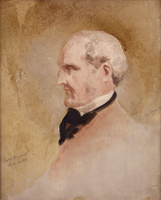 Jackson arrived at York (Toronto) in August 1806 and on 21 September he petitioned the Executive Council for land, intending to become “a permanent Settler.” Surveyor General Charles Burton Wyatt described him as “a gentleman of respectability.” Jackson associated with Robert Thorpe, Wyatt, Joseph Willcocks*, and William Weekes*, all of whom were now actively opposed to the province’s executive. Their agitation reached a fever pitch during the campaign, beginning in October, that led up to the by-election in December to replace Weekes in the House of Assembly for the riding of Durham, York East, and Simcoe. Thorpe campaigned successfully for the seat and Jackson’s support for him brought the Oxford graduate into the circle of opposition. In one notable incident, on 27 November during a dinner at Jackson’s home, liquor had flowed and convivial talk had turned to politics. Willcocks blasted Lieutenant Governor Francis Gore* and when others objected, Jackson, certain guests alleged, labelled the lieutenant governor a “damned Rascal” surrounded by “that damned Scotch faction” – an allusion to advisers such as John McGill* and Thomas Scott*. Jackson went so far as to say that the Executive Council and Gore’s predecessor, Peter Hunter*, “had plundered the Country.” A few outraged guests left to Jackson’s parting shot, “Damn the Governor and the Government: push about the bottle.” In the event, depositions detailing what was described as seditious talk were taken and sent to Gore, who was capable of punitive action. Thorpe and Wyatt were eventually suspended from office while Willcocks was dismissed. But Jackson’s case was different. He was too well connected – his younger brother was a British mp. 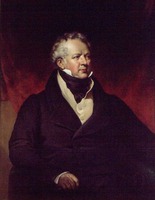 Solicitor General D’Arcy Boulton* considered Jackson liable for prosecution but, since Jackson was about to return to England, Gore directed him to forget the matter. By early summer 1807 Jackson was back in England and on 5 September he wrote to Colonial Secretary Lord Castlereagh “relating a few of those grievances” which he had found in Upper Canada. Gore had feared such an eventuality and later explained to his superiors that Jackson’s “hostility . . arose from his being refused a quantity of Land, on account of his improper conduct.” In fact, it had been on 24 Jan. 1807, four months after Jackson’s application, that Gore first notified the colonial secretary that Jackson might apply for land. When Jackson left, the council rejected his petition because he was absent from the province. Jackson’s letter to Castlereagh was a dress rehearsal for a more extended treatment. His pamphlet, A view of the political situation of the province of Upper Canada, published in London in 1809, explained how the most “loyal, attached, and determined people” had become so “aggrieved, enslaved, and irritated” that they were on the verge of revolt. He catalogued “impolitic and tyrannical proceedings” and, citing as an example the extravagant sums spent on Alexander Grant*’s useless Provincial Marine, pointed to the “ruinous expenditure and mismanagement of the public money” that had characterized Upper Canadian government since Hunter. The grievances of the Six Nations Indians [see Thayendanegea*] and of military and loyalist claimants for free land were trotted out as examples of the frustration of imperial policy by local officialdom. The administration of justice was singled out for partiality. Finally, Thorpe, Wyatt, and Willcocks were identified as upholders of the constitution and martyrs in the cause of libertet there was nothing radical about Jackson’s tract; rather it was an appeal to imperial authorities to right colonial wrongs lest Great Britain’s ability to withstand Napoleonic despotism be hobbled. In England the pamphlet stirred not the slightest fuss. 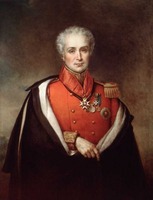 The Earl of Moira recommended it to the Prince Regent as “really an interesting work.” But in Upper Canada conventional counter-revolutionary minds understood Jackson’s opposition to the executive as insurrectionary. The reaction of William Dummer Powell* was typical: the pamphlet was the work of a man with only passing acquaintance of the colony, whose “Channel of Information was a wretched faction of disappointed Mal contents.” Gore, who thought Thorpe to be the real author, refuted it point by point in a letter to his superiors. A public response came in 1810 from Richard Cartwright* of Kingston, whose Letters, from an American loyalist was predictable in its condemnation. In an episode later seized upon by William Lyon Mackenzie*, Crowell Willson and James McNabb* brought before the assembly in March 1810 a motion condemning Jackson’s screed as “a false, scandalous and seditious libel . . . tending to alienate the affections of the people . . . and to excite them to insurrection.” The resolution passed, as did an address approving Gore’s administration and damning Jackson’s work, against the opposition of John Willson*, Willcocks, David McGregor Rogers*, and Peter Howard. Nothing, however, came of such denunciations. Jackson had never been a radical and subsequent events reveal his political opinions to have been as respectable as he was. In 1828, having sold his Springfield Park estate and some other lands in 1819, he bought property and settled in Georgina Township on Lake Simcoe where a daughter and her husband already lived. All his daughters married well. One had wed a nephew of the Earl of Westmorland, another married Augustus Warren Baldwin*. Jackson, who was a shareholder in the steamer Simcoe, built at Holland Landing, signed the usual sort of loyal addresses, including one in 1832 which condemned “the attempts of turbulent, disaffected, and interested individuals” to attack Sir John Colborne*’s administration. He also was one of the seven members of the Georgina Club, the intent of which was expressed in the couplet: “For in this Club each member tries / To d—n McKenzie, and his Lies.” Small wonder he was made a justice of the peace in 1833. Two years later he was urging Anglican authorities to erect a church in Georgina because Sundays had become “a holiday in which an opportunity is taken to commit much excess of debauchery amongst the low classes of Society.” Jackson died in 1836 while on a trip to England. What has been designated as radicalism in Jackson was really best interpreted by Robert Gourlay* when he wrote of the oppositionists of the first Gore administration: there was “never any disagreement about the principles of government. The sole cause of discontent arose from the abuses of executive power.” Within the spectrum of 18th-century politics, Jackson’s opinions were both whig and traditional. The full title of John Mills Jackson’s pamphlet, issued at London in 1809, is A view of the political situation of the province of Upper Canada, in North America; in which her physical capacity is stated; the means of diminishing her burden, encreasing her value, and securing her connection to Great Britain, are fully considered. AO, MS 88; MS 537; MU 1365, Lake Simcoe South Shore Hist. Soc., “Georgina, history of a township” (portfolio of loose printed sheets, n.p., 1972); RG 22, ser.131. MTRL, James Givins papers; W. D. Powell papers. PAC, RG 1, L3; RG 5, A1; RG 68, General index, 1651–1841. PRO, CO 42/362; 42/365. York North Land Registry Office (Newmarket, Ont. ), Abstract index to deeds, Georgina Township (mfm. at AO). The correspondence of George, Prince of Wales, 1770–1812, ed. Arthur Aspinall (8v., London, 1963–71), 6: 399, 409. “Journals of Legislative Assembly of U.C.,” AO Report, 1911. “Minutes of the Court of General Quarter Sessions of the Peace for the Home District, 13th March, 1800, to 28th December, 1811,” AO Report, 1932. Statistical account of U.C. (Gourlay), vol.2. Town of York, 1793–1815 (Firth). York, Upper Canada: minutes of town meetings and lists of inhabitants, 1797–1823, ed. Christine Mosser (Toronto, 1984). 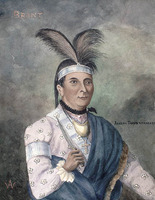 Canadian Freeman, 1832–34. Gleaner, and Niagara Newspaper, 1819. 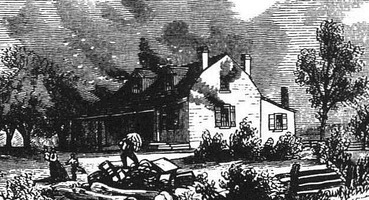 Upper Canada Gazette, 1817–19. York Gazette, 1811. Alumni Oxonienses; the members of the University of Oxford, 1715–1886 . . . , comp. Joseph Foster (4v., Oxford and London, 1888), 2: 736. Creighton, Empire of St. Lawrence. Gates, Land policies of U.C. J. E. Middleton and Fred Landon, The province of Ontario: a history, 1615–1927 (5v., Toronto, [1927–28]), 1: 148–52. Scadding, Toronto of old (Armstrong; 1966). W. N. T. Wylie, “Instruments of commerce and authority: the civil courts in Upper Canada, 1789–1812,” Essays in the history of Canadian law, ed. D. H. Flaherty (2v., Toronto, 1981–83), 2: 3–48. G. C. Patterson, “Land settlement in Upper Canada, 1783–1840,” AO Report, 1920. W. R. Riddell, “The legislature of Upper Canada and contempt: drastic methods of early provincial parliaments with critics,” OH, 22 (1925): 186–201. Robert L. Fraser, “JACKSON, JOHN MILLS,” in Dictionary of Canadian Biography, vol. 7, University of Toronto/Université Laval, 2003–, accessed April 24, 2019, http://www.biographi.ca/en/bio/jackson_john_mills_7E.html.